Week 12: Cup and Plate weekend round of 16. In the Plate, 4 games were played to determine four of the quarterfinalists, with other 4 teams having a bye welcoming them. First Division team MES made no mistake in overcoming Shooters from 2nd Division. They rushed to a 3-0 lead after only 15 minutes with a brace from Rob Barrett and one from Tommy Wright. Shooters got back in shape and got some chances to pull back but they could not made it. An own goal resulted from a free kick in the mid of the second half killed off the little hope of Shooters. 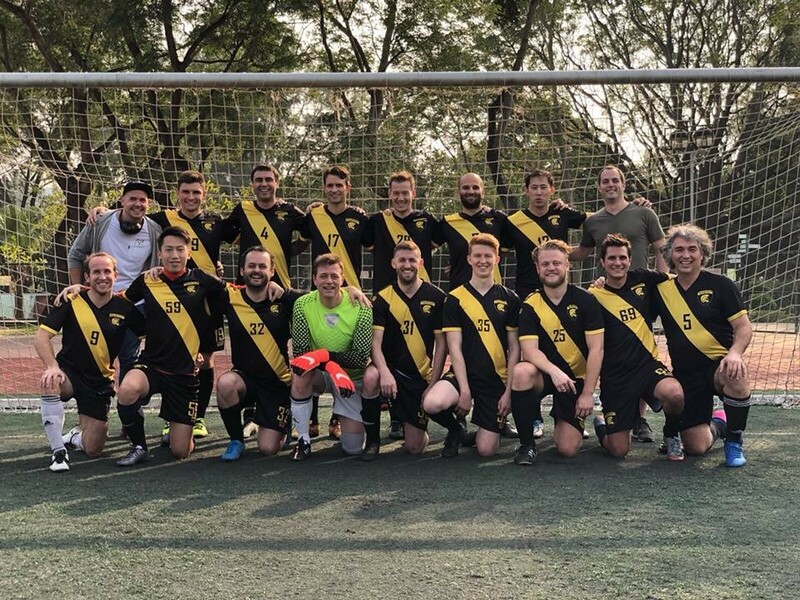 Goodfellas beat HK Scottish 2-1 in a close encounter. Louis Man and Ben Yiu did the damage for Goodfellas and one goal was from the penalty spot while the other was a good header. Simon Lowth was the scorer for the Scottish. Legal Head pulled off a spectacular comeback victory over the Old Speckled Men. They soon found themselves down by 3 goals after 15 minutes after an unusual slow start but after some reshuffle they got back to 2-3 before interval. After the break they geared up the pressure and finally they had the final laughter after scoring 2 more nice goals to seal the victory. Veteran Amin Ashraf put his name on the score sheet twice while both Juan Carlos and Gurung Misal also found the net. TWF, after playing a goal-less draw with BOCs few weeks ago, finally found the way the break the deadlock in a rematch in Plate game. Lee Chun Wing scored the first goal for TWF since he joined the club with a header, being well set up by a corner from Raymond Ng. Keung Chow enlarged the advantage with a powerful shot from just out of the box. Chan Chun Kan followed the footsteps of Wing to also score his first goal for the team. In second half BOC made some changes and they got back some possession and created some chances, and finally Pete Tsang pulled one back but 3-1 to TWF was the final score. There was also one Division Two game played between Soho Spartans and Bants on the Saturday. Soho Spartans looked to have the game won with an OG in the first half and a second from marksmen Li Yongsen. However with 10 minutes to go a 25 yard Toby Brookes screamer lead to the fight back. The return of ex manager Jack Youlden sealed the draw at the death with a left footed shot in the top corner.... waiting on report for Cup games.